More than 300 people, including representatives of the City of Johannesburg’s leadership, business experts, thought leaders, practitioners and academics are expected to participate in the five-day EcoMobility Dialogues 2015 from the 5th of October 2015 at the IDC Conference Centre in the Sandton Central Business District. The participants are set to gather in the South African metropolitan city to discuss new forms of mobility and urban planning to address the growing mobility needs in developing cities and to support behavioral change regarding transport and climate change. The Dialogues will focus on topics including transport and climate change, transport demand management, clean bus fleets, behavioral change, and parking management. They will also foster exchange, discussion and debate. Johannesburg Executive Mayor, Cllr. Mpho Parks Tau, described the Dialogues as the city’s way to demonstrate its commitment to involving all relevant stakeholders on decision-making about EcoMobility in the metropolitan area. “The Dialogues will also help stakeholders to communicate, celebrate and visualise a low-carbon future through the lens of EcoMobility,” Mayor Tau said. The Dialogues will create a platform for participants to share implementable actions and policies that will help stakeholders and decision makers to take urban mobility to the next level. The Dialogues are categorized as stakeholder dialogues, expert dialogues, decision-maker dialogues, and public dialogues, allowing participants to learn about and address the transport issues most relevant to them. The participants will also have specific opportunities to raise their concerns and queries directly with the Executive Mayor of Johannesburg and the participating experts. Various side events are planned in collaboration with local and international partners of the Dialogues. The Dialogues will feature an exclusive Decision-Makers’ Track, allowing city leaders both to present their efforts in implementing EcoMobility and to demonstrate their commitment to fight climate change through supporting the “Cities Declaration on Low Carbon Transport”. This Declaration will be carried to the COP21 in Paris in December 2015. 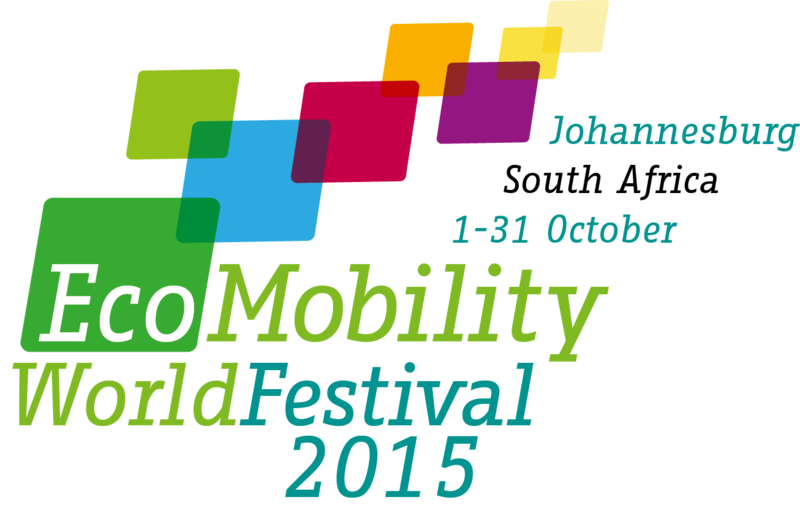 The EcoMobility Dialogues 2015 is a part of the EcoMobility World Festival 2015, which promotes sustainable transport and offers a vision for the future. During the month of October 2015, Johannesburg will close its Sandton Central Business District to cars, and mobility needs will be met through public transport, walking, cycling, and other innovative vehicles.